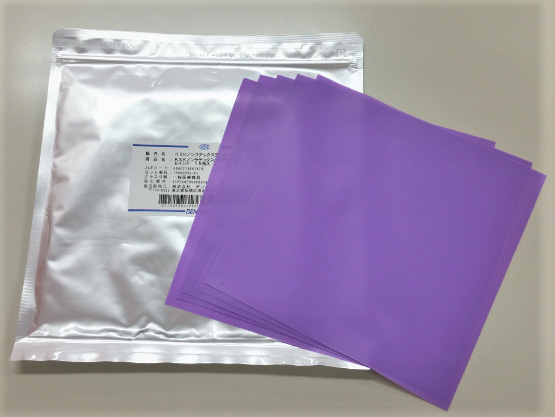 Autoclavable(up to 121℃)※Dry heat are prohibited .Dental dam are packed in air tight plastic bag . This special bag keeps rubber sheet at fresh condition in long years . Autoclavable(up to 121℃)※Dry heat are prohibited . Thin is color free material and highly transparent . Packed in airtight aluminium bags keep the rubber sheet fresh.